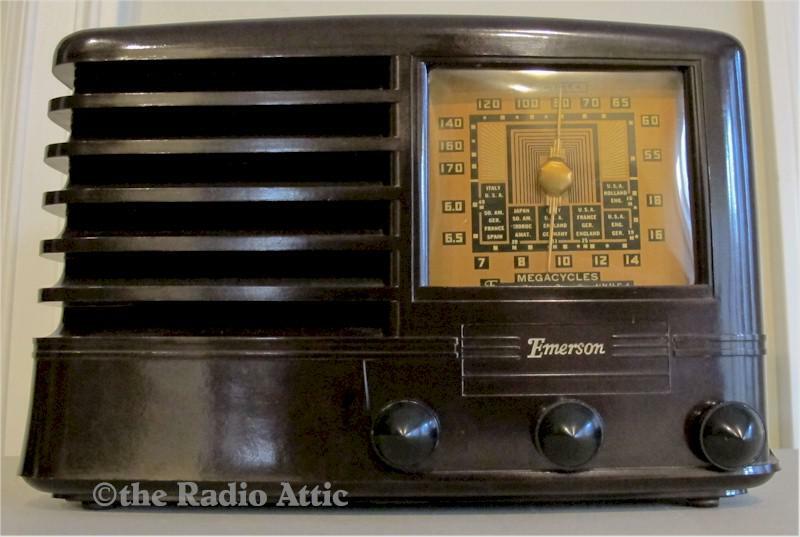 Those sophisticated Emerson dials gave owners a high degree of confidence they could tune in distant stations. Emerson always had high standards for technical excellence and that's just one reason why they survive to this day. This machine age cabinet is stunning and the chassis has been well restored by a prior owner. It plays quite well. This radio weighs 7 pounds and measures 11-1/2"W x 8"H x 7-1/2"D.